My trip to the barrier beaches of Martha's Vineyard these past three weeks did not disappoint. Once again I saw Black skimmers, piping plovers, willets, black-bellied plovers, ruddy turnstones, American oystercatchers, nesting black-backed gulls with fluffy babies, common terns, least terns, roseate terns, sanderlings, and osprey. Baby seals were also on the beach - so cute! But this year I had a special treat. I was there at the perfect time to see mating horseshoe crabs. In a remote stretch of beach it was fascinating to watch this species older than dinosaurs. The females, about 1/3 larger than the males, would move toward the shallow water and attract numerous males. Some females had at least five males in attendance and she would bury herself in the sand beneath the water. Often the only way I would know she was there was her tail protruding above the sand. 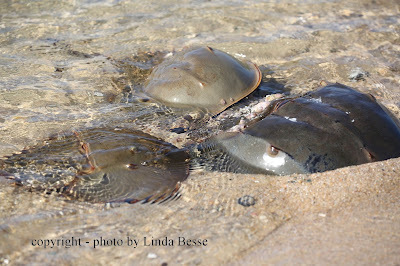 As I child I remember seeing numerous horseshoe crabs during the summer but for decades since there have been so few. 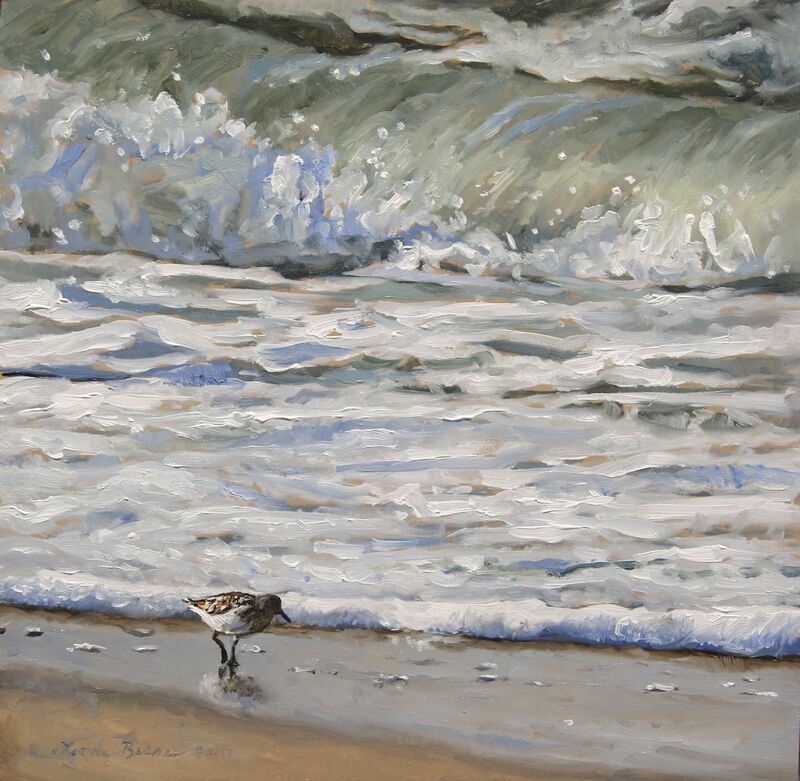 It was gratifying to see dozens in 60 yards of beach.